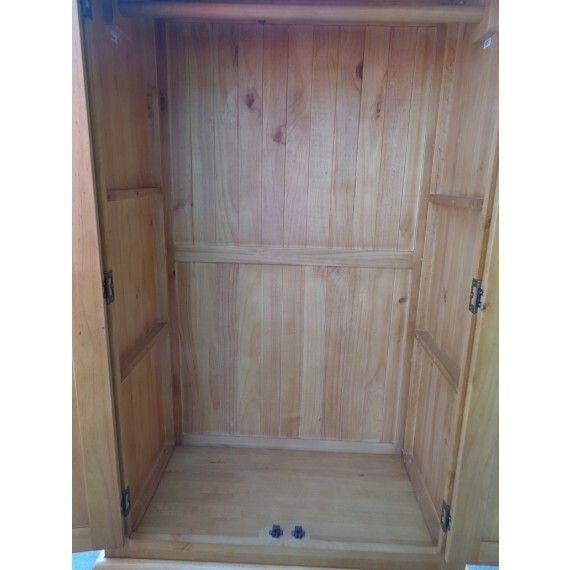 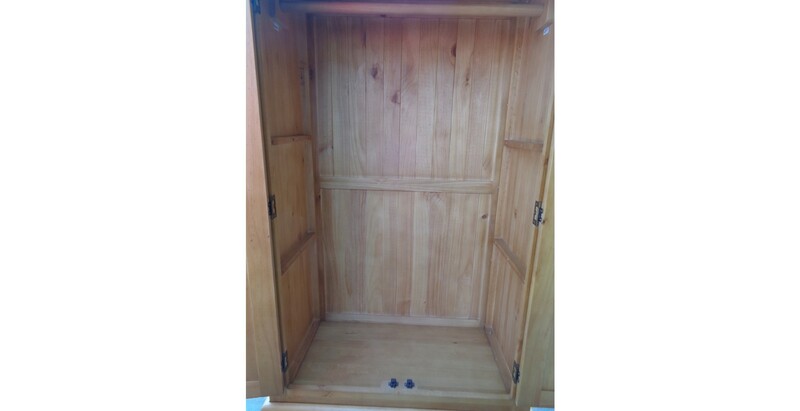 Scaled down to sit neatly in a child's bedroom, this simply designed but robustly crafted wardrobe will help keep untidy toddlers and teens organised – although you may have to do most of the picking up. 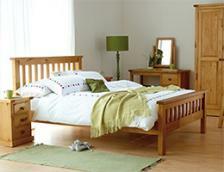 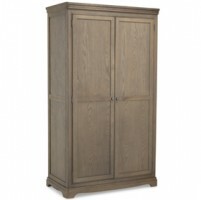 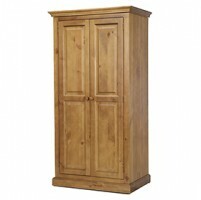 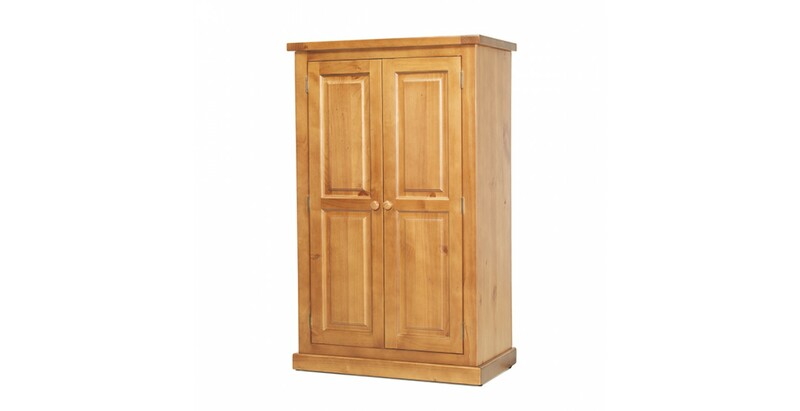 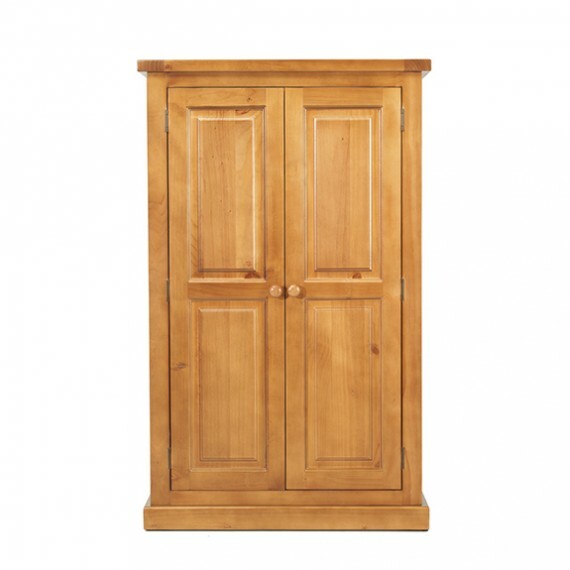 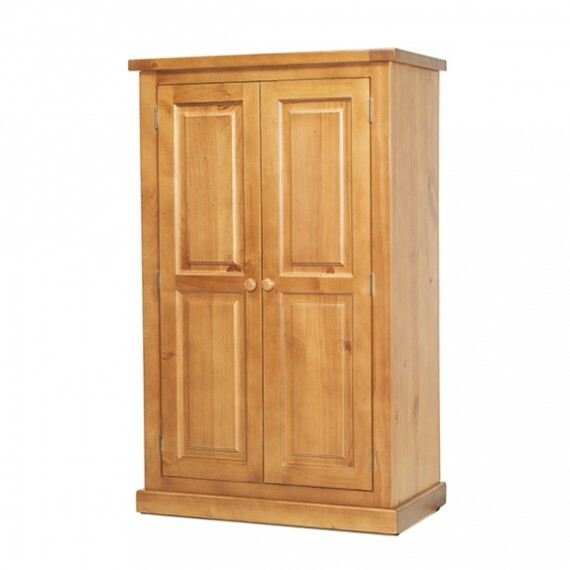 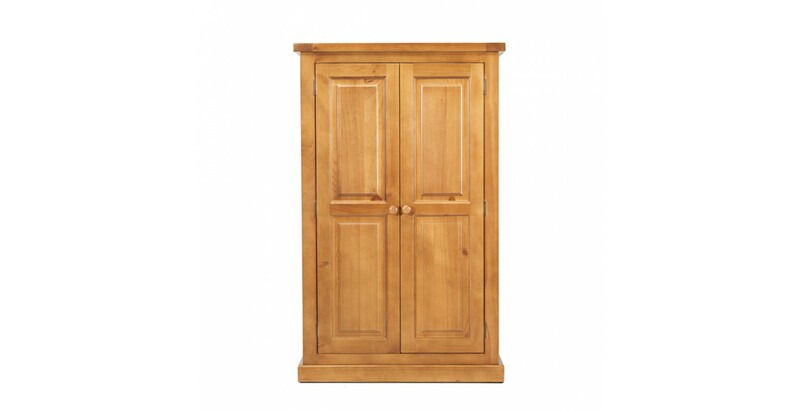 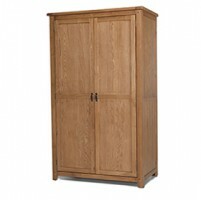 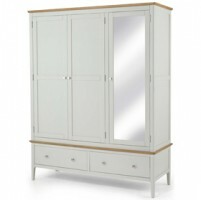 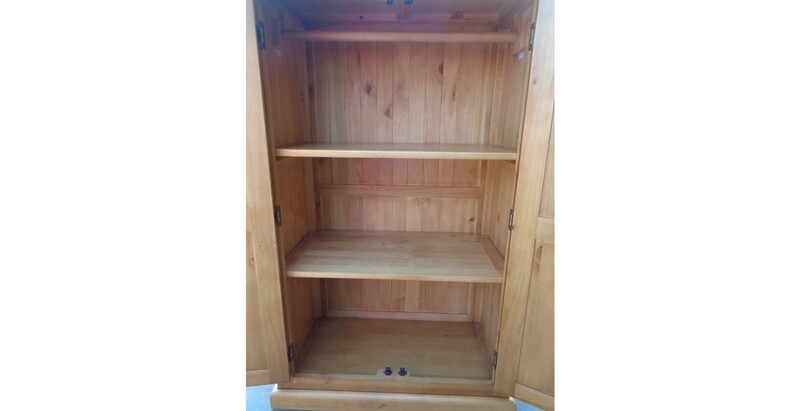 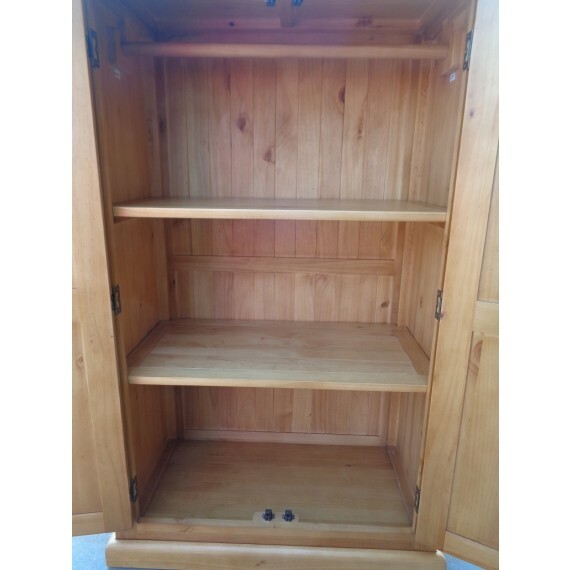 Expertly crafted from chunky solid pine using traditional techniques so it's strong and durable, it has full width hanging space behind the double doors and two removable shelves, chunky wooden door knobs and stands firm on a sturdy plinth. 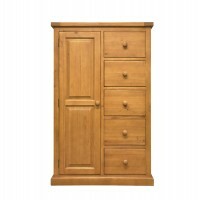 With clean, modern lines that will suit any décor, it's been stained a light oak colour and given a protective matt lacquer to keep it looking smart in any situation.